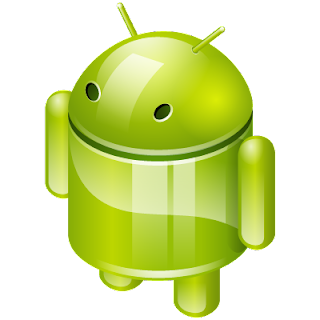 Home » Android » Where Will Android Show Up Next? The Android operating system isn’t just for phones anymore. From the OUYAgame console and VIA APC small form factor desktop computer to the Nikon S800 smart camera that’s rumored to be coming out any day, Android is popping up on devices left and right. It makes sense. Smartphones already include cameras, so designing a digital camera that runs Android really just moves the focus (no pun intended) of the operating system a little bit. Smartphones do just about everything a desktop computer can do, including play games, so adapting Android to work with mice, keyboards, and game controllers is just a matter of installing the right hardware drivers. With all these devices running Android, what devices might be next? GPS Navigators: As another function frequently used on smartphones, GPS navigation is ripe for Android integration. Standalone GPS navigators already run some sort of operating system, some based on Linux just as Android is. The GPS navigation itself would just be one app running on a customized version of Android, and the ability to install more apps would be a real competitive advantage. GPS navigators tend to work better when they have all the maps they need stored on the device, so a constant data connection isn’t needed. Updates and app downloads could be handled by a WiFi connection when the car is at home. Appliances: We’ve been hearing about the Internet-connected refrigerator forever – the one that automatically tells us when the milk is running low. The usefulness of that particular appliance aside, other appliances could truly benefit from a smart operating system that’s simple to use. A stove, for example, could use its touchscreen to display recipes and automatically follow them, pre-heating the oven and turning off the heat at the appropriate time. An Android-enabled clothes washer could be set for the amount and filthiness of the apparel being put in. And of course any Android appliance could be used as a media hub for playing music and showing video. Musical Instruments: There are already a number of synthesizers and sampled instrument sound apps that can be installed on Android phones and tablets, but control and audio quality aren’t always the best on a tiny handheld device. A custom Android install on a musical keyboard with a variety of inputs and outputs would make a phenomenal musical instrument. The Android build would have to be optimized to reduce lag and latency as low as possible, but the possibilities for sound experimentation would be practically endless. Where would you like to see Android installed?